On behalf of Admin of JML Law, A Professional Law Corporation posted in Police Misconduct on Monday, Jul 16 2018. This is something that you may have seen in the news recently. Police misconduct. It’s unfortunate that sometimes police go too far in trying to enforce the law. They can end up violating a citizen’s rights with their behavior. It’s incredibly unfair. You expect the police to their job right and to not cause you to harm or even worse, death. 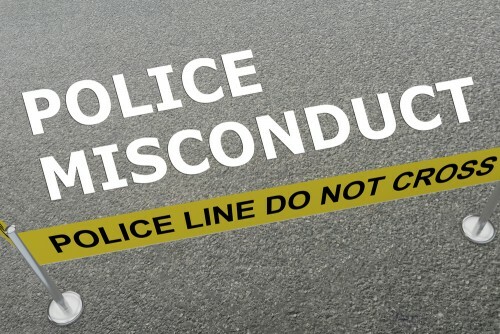 As a victim of police conduct, you may get recourse through federal or state laws. Civil rights laws aim to protect you from abuses from the government, and this includes police misconduct. This form of police misconduct is seen the most publically. Many people have taken videos of police misconduct where the officer(s) used excessive force that was unnecessary. It could be shooting before asking questions. Their excessive force could cause serious injury or even death. The force that police use is dependent upon circumstances and facts about the situation. For example, if the other party was trying to attack the police officer, then them using excessive force can be seen as a plausible. If the victim was non-violent and the officer still used excessive force, you could have a grounds for a case. This takes place when a police officer has wrongfully denied a victim their Fourteenth Amendment. This defines national citizenship and forbids the restrictions of basic rights. In order to prove an officer had a malicious prosecution, you must prove several different elements. You must first prove that the defendant police officer commenced a criminal proceeding. You must then prove than proceeding ended in the victim’s favor meaning no conviction. You have to prove that there was no probable cause and that the proceeding was brought with malice toward the victim. This is a situation where the police officer has violated the fourth amendment. This is the right for people to be secure against any unreasonable search and seizures. In this case, a police officer must have a probable cause for searching you. As the victim, you must prove that the officer lacked probable cause in order to claim police misconduct. An example of this would be if they were looking for a suspect who has a 6’2” and you were only 5” not matching the description. It’s unfortunate that police misconduct is seen more and more. It is more common than you would think. When you get pulled over, you want the assurance that your rights are protected and the police are not going to do any harm to you. Unfortunately, this is not always the case. It can be frustrating because you had no control over the situation. You need someone to help lift the burden off of your shoulders. You need someone who is an expert in dealing with police misconduct. You need Los Angeles police misconduct & shooting attorney who is attentive to your specific needs. You need someone with years of experience. JML Law, A Professional Law Corporation, has over 40 years of experience. Call them today for a free consultation at 818-610-8800 or simply use this contact form.